Welcome to NB Tech article series again. In our previous posts we covered unique features, benefits and models of Cisco Nexus 1000, 2000, 5000 and 6000 series switches. After discussing Cisco Nexus 1000, 2000, 3000, 5000 and 6000 series switches, it’s time to discuss Cisco 7000 series switches. Let's Start and explore Cisco Nexus 7000 Series Switches Now. 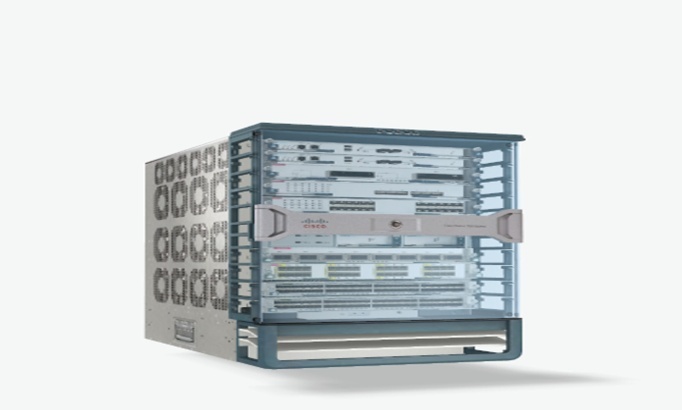 Cisco 7000 series are designed for meeting the requirement of the mission-critical Data Centers and to lay foundation for the next-Gen Unified Fabric. These switches provide continuous system operation as well as pervasive, virtualized services. Cisco 7000 series switches are based upon NX-OS Software operating system. These switches are modular Data Center (DC) class products especially designed for highly scalable 100/40/10/1 GE network. Nexus 7000 series switches provide comprehensive NX-OS feature set as well as open-source programmable tools for SDN (software-defined networking) deployments. These switches provide exceptional serviceability and manageability feature. Cisco 7000 switches deliver various out of the box features. They offer integrated resilience along with specifically optimized features for the DC for ease of management, reliability and availability, scalability. Cisco Nexus 7000 series switches offer high operational continuity. In order to support 0-downtime environments, the design of Cisco 7000 switches integrates Nexus Operating System Software features, hardware as well as management. Cisco 7000 switches run on Nexus Operating System software. These switches were specifically designed for mission-critical enterprises as well as service provider deployments. 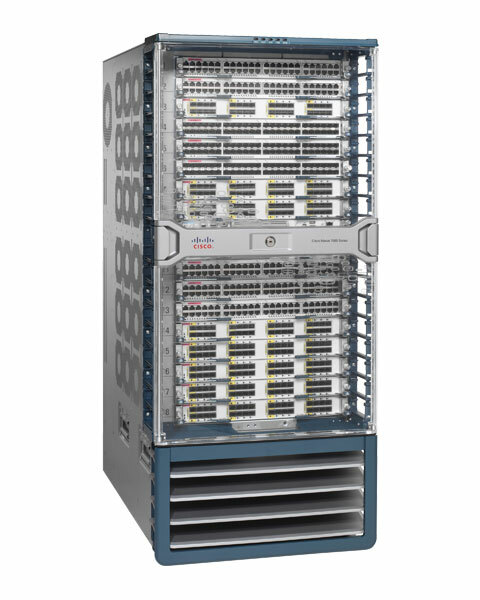 The comprehensive feature set is provided by Cisco 7000 series in the highly-resilient modular platform. Cisco 7000 Series switches offer programmable as well as automation tools for 0-day to day-N management and configuration. For the purpose of data planes and provisioning control; programmable, standard and open API-interfaces are available. Cisco 7000 series allows adoption of networking technologies in a cost-effective and easy manner. 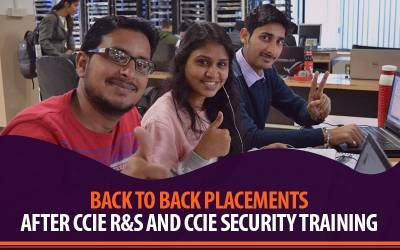 These technologies include Cisco Dynamic Fabric Automation (DFA), Cisco Overlay Transport Virtualization (OTV) and Cisco Remote Integrated Services Engine (RISE). Cisco 7000 series switches offer great infrastructure scalability. Cloud scale with automation, virtualization, high density, efficient power and cooling, and performance supports efficient DC growth. Support for 100 Gbps and 40 Gbps Ethernet standards. Support for new technologies without the need for total upgrades. Flexible, Modular, and scalable Linux-based Operating System. Cisco 7000 10-Slot switches are designed to deliver flexibility, performance, and 0-service loss for Next-Gen Unified Fabric DC. These switches provide quite a high switching capacity which is more than 15Tbps. In addition, these switches offer graceful system operations for minimizing the effect of maintenance and upgrades. Cisco 7000 9-Slot switches are designed for delivering Unified Fabric for the purpose of meeting the needs of campus core deployments and DC environments. These switches have of more than 8 Tbps of switching capacity, supports new technologies with just incremental upgrades, provides non-disruptive, lossless upgrades for 0-service downtime and a lot more. Cisco Nexus 7000 4-Slot switch have similar Nexus Operating System operational features and delivers high performance, side-to-rear air flow and high availability. For meeting the needs of midsized, small DC edge and core deployments, Nexus 7000 4-Slot switches delivers a Unified Fabric. In addition, these switches have the switching capacity of 1.92 Tbps, ISSUs for 0-service downtime, support for 100, 40, 10, and 1 GE interfaces, FCoE for SAN as well as LAN consolidation and a lot more. The latest extension has been introduced to the Cisco 7000 series switches i.e. Cisco 7700 switches. 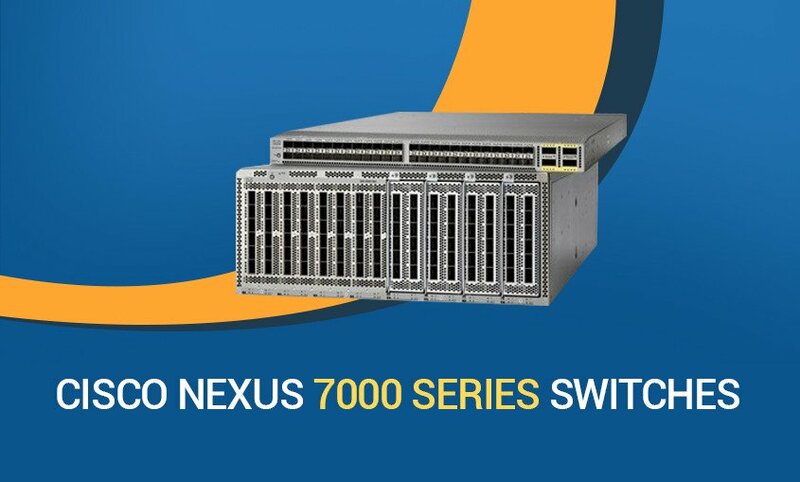 The latest extension – Nexus 7700 switches offers switching capacity more than 83 Tbps. These switches deliver the highest capacity 100, 40, and 10 GE ports with up to 384 40-Gbps ports, 192 100-Gbps ports or 768 native 10-Gbps ports. The Cisco Nexus 7700 series switches have feature and operational consistency with the existing Nexus 7000 Series, using the same ASIC (application-specific integrated circuit) technology, same Cisco Nexus Operating System Software releases and the common system architecture. Cisco 7000 series switches are specially designed for meeting the requirement of the mission-critical DCs. Cisco 7000 switches are Ideal for aggregation, core deployments and data center access. Cisco 7000 series provide high 100, 40, 10, and 1 Gigabit Ethernet scalability. 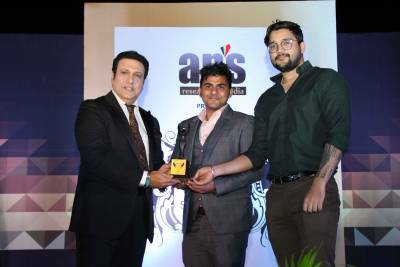 They provide the most comprehensive programmability capabilities and data center features in the industry. Offer more than 83 Tb per chassis and switching capacity up to 1.3 Tbps. They also deliver hitless ISSU (In-Service Software Upgrade), high availability and advanced services. In case you have any queries, please ask in the comment section below, Our experts will answer them for sure. Stay tuned for more posts, Next we will be covering Cisco Nexus 7700 Series Switches. 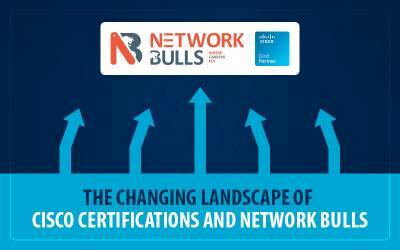 Not to forget, we have launched a revolutionary Networking Q&A Platform - Ask NB. 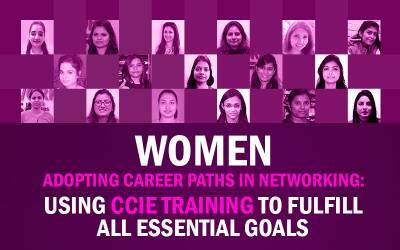 In case you want to know about Network Bull’s Cisco CCNA, CCNP & CCIECourses, Call us on our toll-free number 1800-313-2545 if you are calling from India and in case you are an international student, reach us on +91-8745885377.